Teflon treated Jacquard makes the ideal fabric to use in the manufacture of quality head gear. 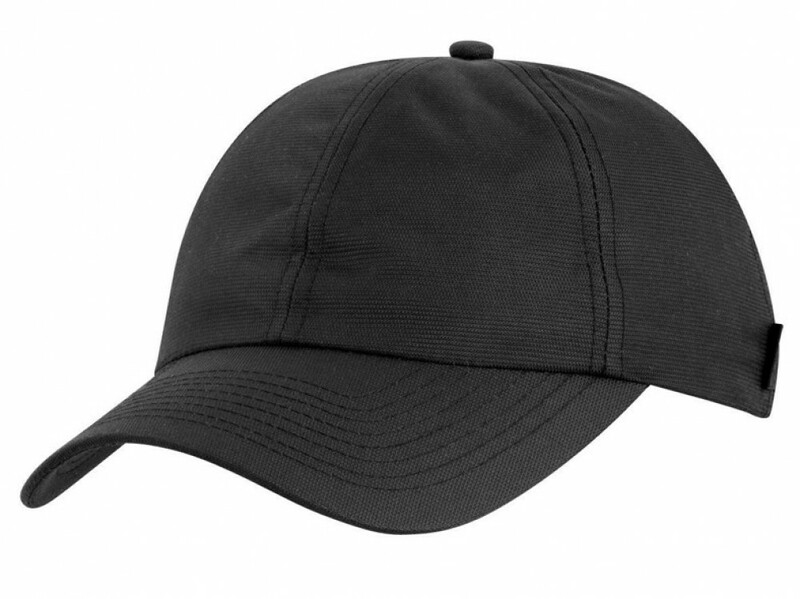 This cap is strong and durable, designed to last and retain its shape season after season. The fabric offers super breathability and the included terry-towelling sweatband makes it ideal for any outdoor events, excursions or sports days under the hot sun. The cap has a casual look with an unstructured 6 panel design and a pre-curved peak. It comes in a choice of navy, black and white, ideal for branding with your corporate image using a multi-colour embroidery technique. All our caps are made to the most exacting standards with attention to detail, quality stitching and rigorous quality control. They make great freebies to offer to visitors who come to your stand at expos, trade and career day fairs. They are also ideal to give to delegates on team building events and outdoor corporate sports days. Let our friendly team give you ideas for branding. Pricing includes 8k embroidery of your graphic which can be placed on the peak, sides or back. Embroidery can accommodate the multiple colours of your logo and graphics. A set up of $50 applies for orders under 50 units. Pricing excludes GST. Delivery within Australia only.